Add a touch of bright light to your Minecraft decorations! 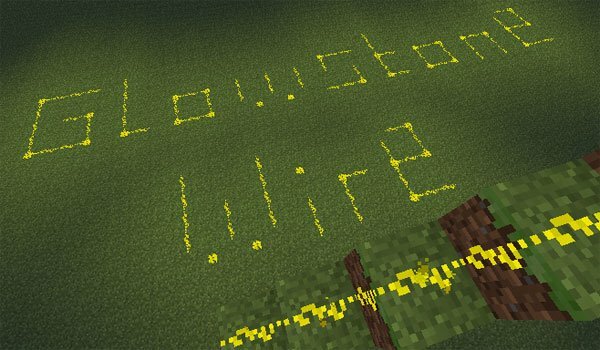 Glowstone Wire 1.7.2 and 1.7.10 is a mod that adds a new use for the Glowstone. This material has the ability to illuminate around your brightness. With this mod, the Glowstone, will be like Redstone, but without power to act with power functions, ie only serve to illuminate. So it may be useful to create new environments and spaces to shine. How to install Glowstone Wire Mod for Minecraft 1.7.2 and 1.7.10? Anybody Else’s Client Crashing Every Time They Start It With The Mod Installed?